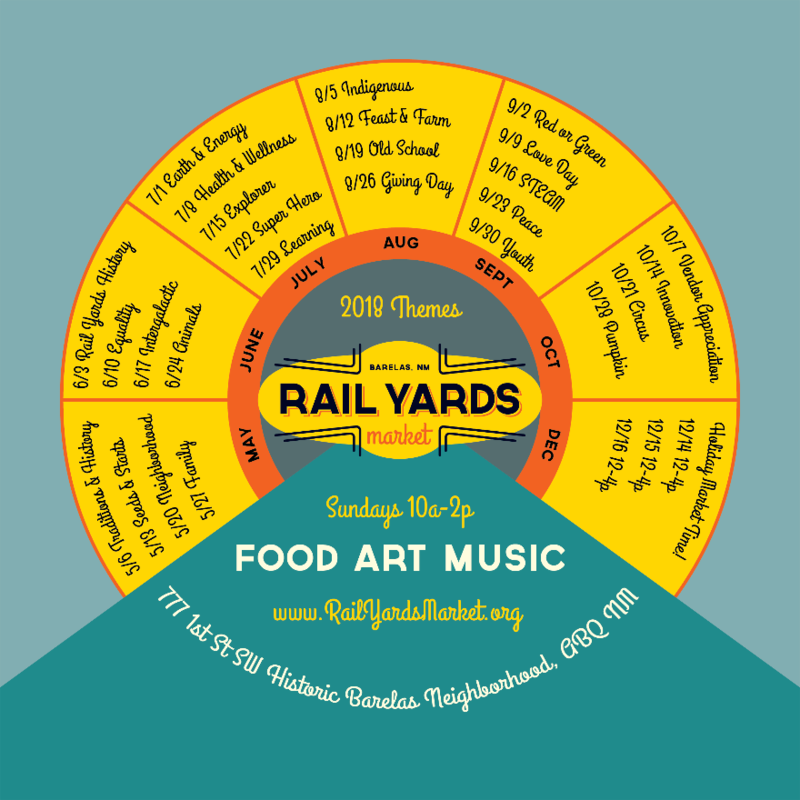 For the most current and up-to-date programming information please visit our Facebook page HERE and peruse detailed event information. 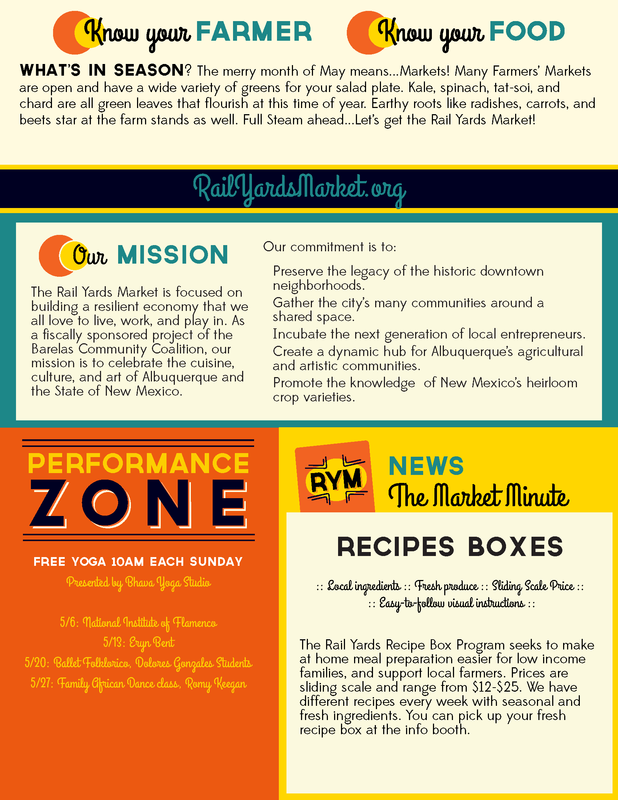 For weekly news and updates please visit our NEWS landing page HERE. 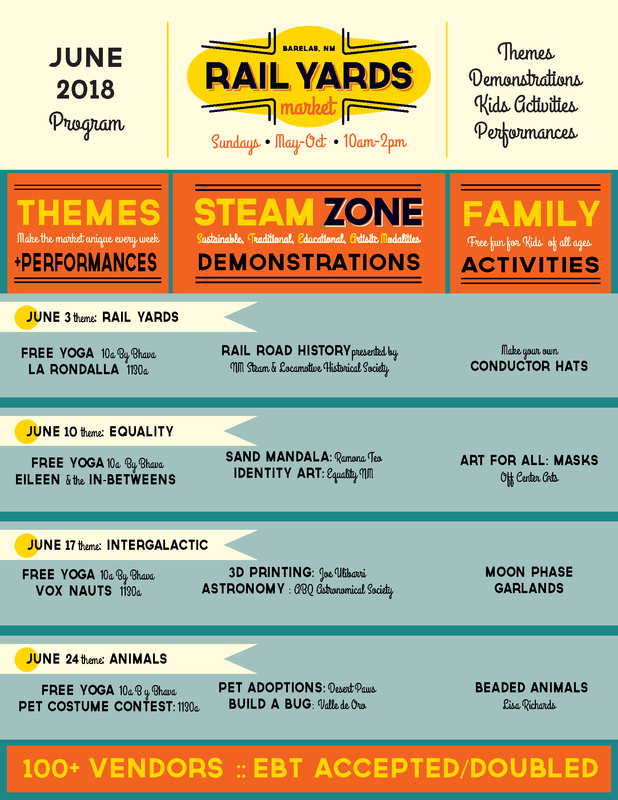 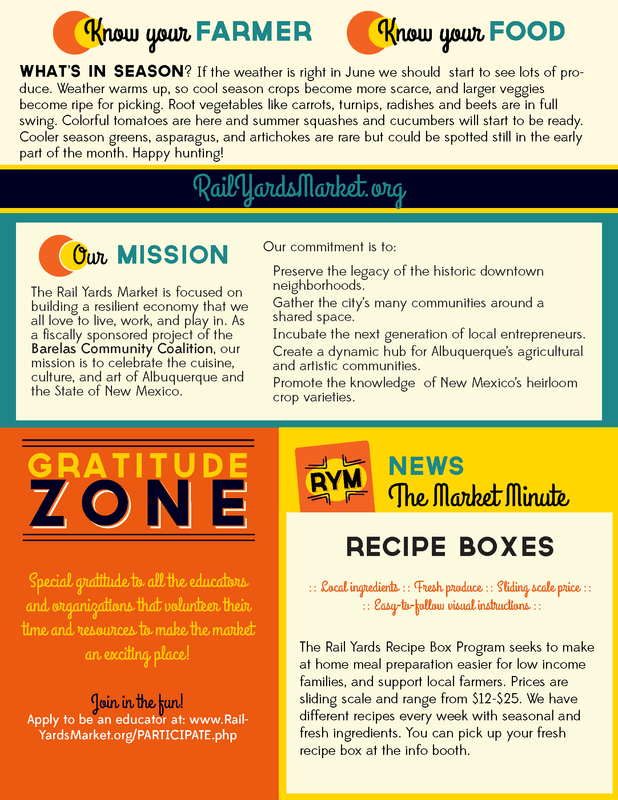 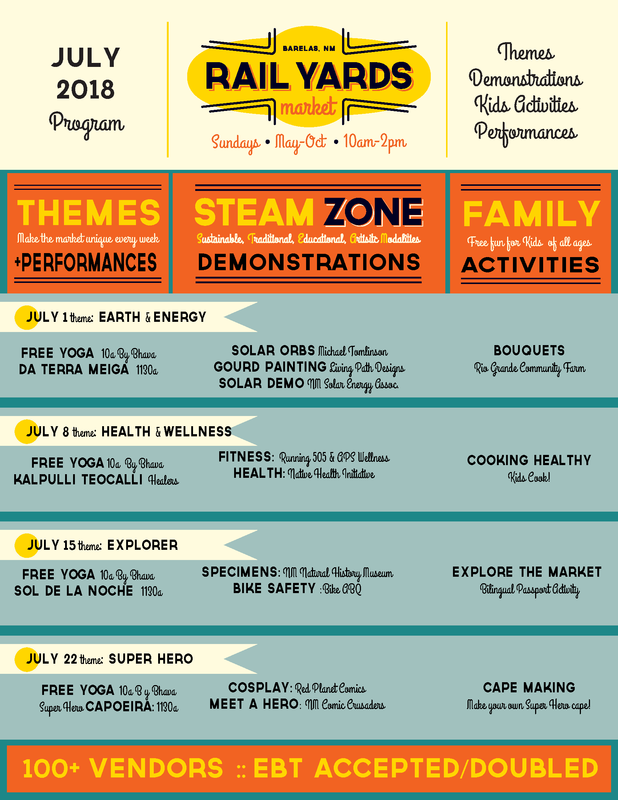 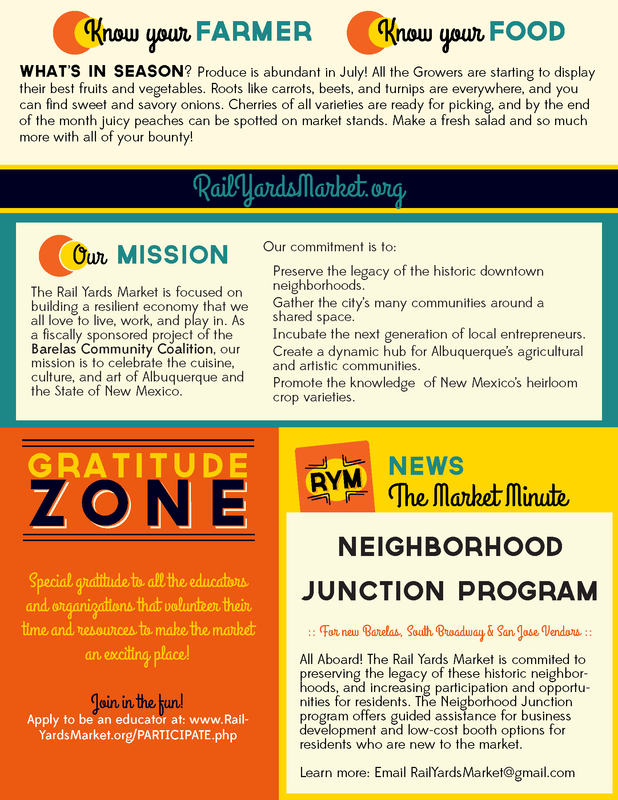 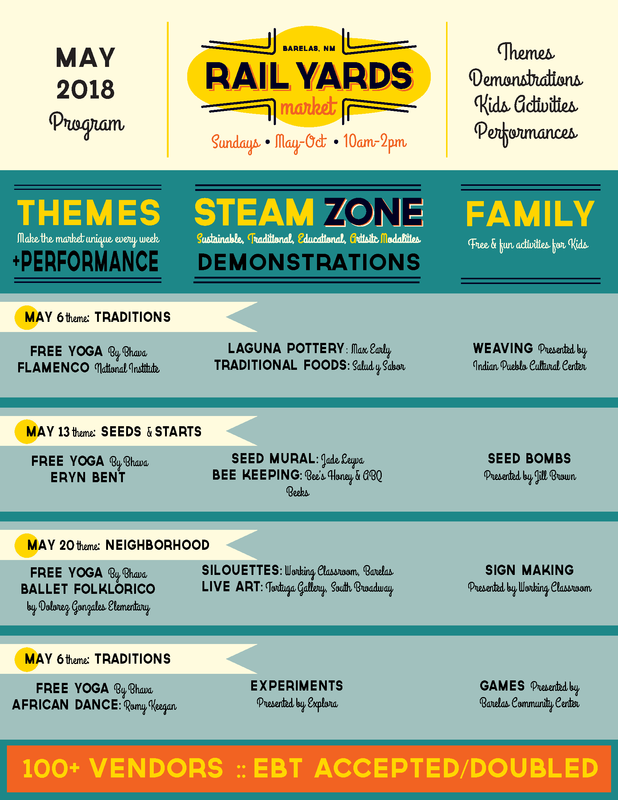 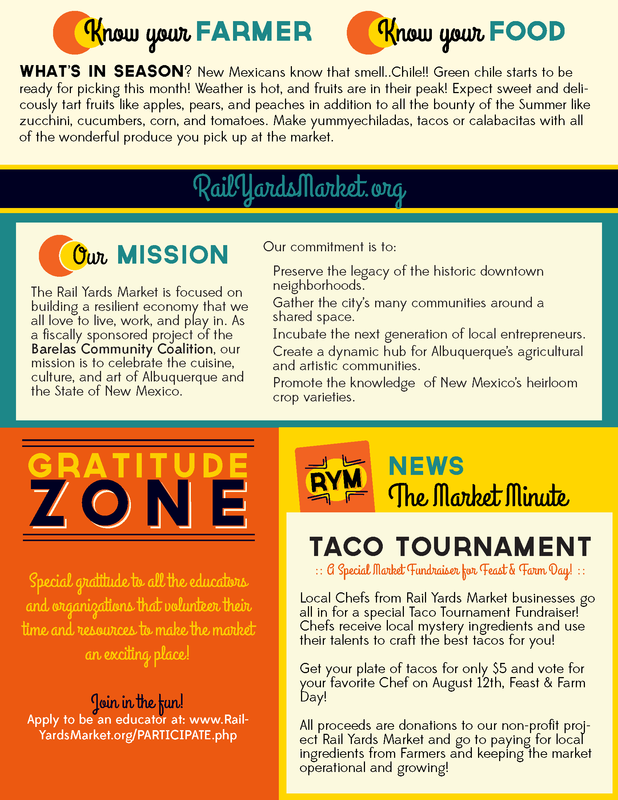 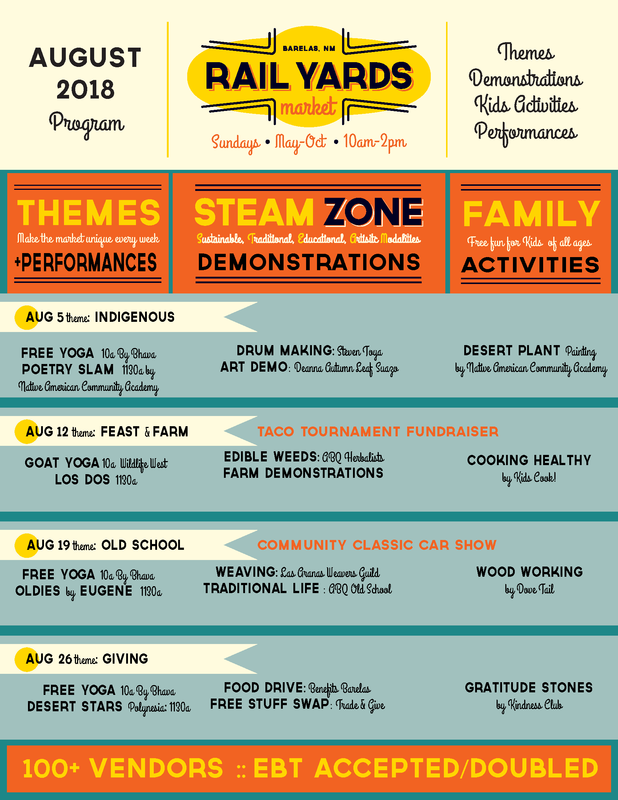 Every Sunday, the Rail Yards Market celebrates different themes and programs educational demonstrations, family activities, music, and non-profit groups to exemplify the theme and make the market dynamic.Below are copies of our themes and monthly e-newsletter, subject to change.